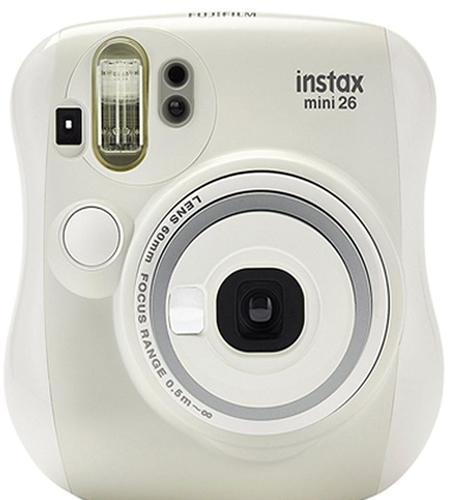 FUJIFILM’s INSTAX Mini 26 instant camera, with its simple operation and streamline design provides you with the opportunity to share one-of-a kind photos with family & friends anytime, anywhere! 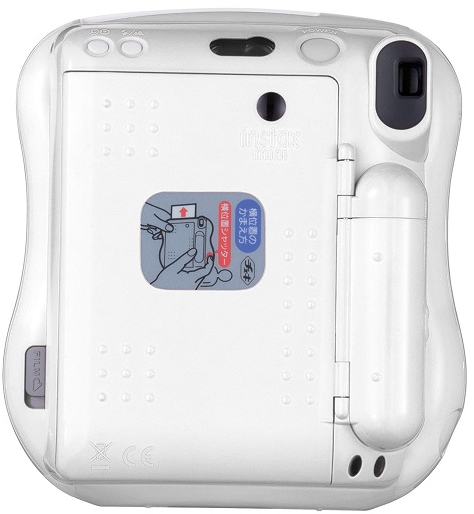 These sleek and sophisticated instant cameras come in four colors - Black, White, Pink/White and Blue/White. The simple operation featuring a high-quality FUJINON lens provides great 2”x3” instant photos in as little as 90 seconds. With built-in automatic exposure compensation, the right amount of light is captured in most shooting situations, including low lighting. A close-up lens (included) allows you to capture great detail in your photos and a selfie mirror mounted on the lens provides perfect framing for selfies of you and your friends!